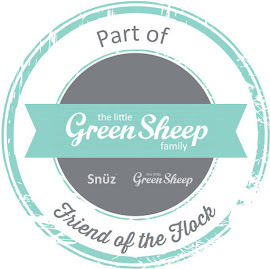 Where Roots And Wings Entwine: Noisy Sauce - Officially Awesome kids clothing! 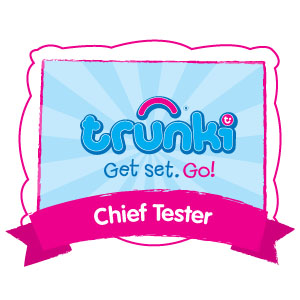 Noisy Sauce - Officially Awesome kids clothing! Like most kids Bug loves clothing and accessories that feature his favourite characters. Thankfully I have found a great site that can satisfy his love of character clothing and accessories – Noisy Sauce! 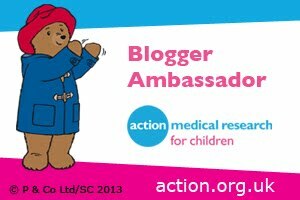 Noisy Sauce are an online website that are dedicated to providing high quality, officially licensed kids clothing and accessories that feature favourite characters from TV, films, gaming, comic books and music. 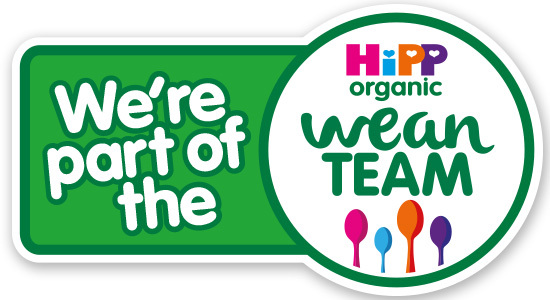 The site is packed with clothing and accessories for boys and girls of all ages, with t-shirts, hoodies and sweatshirts available in popular designs. As Bug is a huge Minecraft fan he loves to wear Minecraft clothing to show off his love of the game. 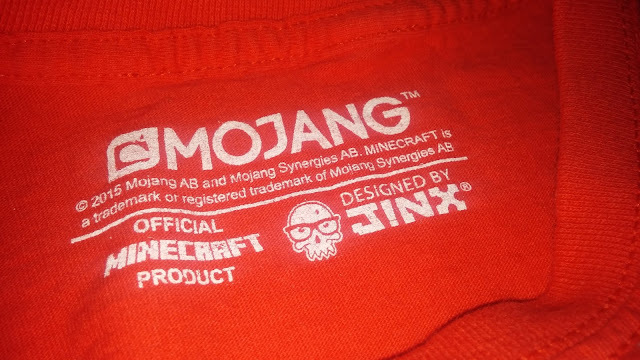 With his love of Minecraft it was no surprise to me that he chose an official Minecraft t-shirt from Noisy Sauce. 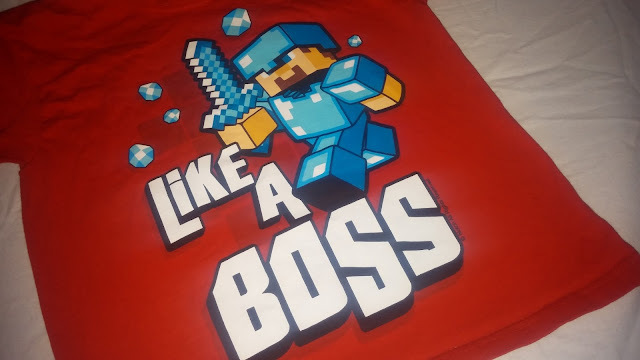 The officially licensed 'Like A Boss' Minecraft t-shirt is of superb quality and the red which Bug loves so much with it being his favourite colour is rich and vibrant. 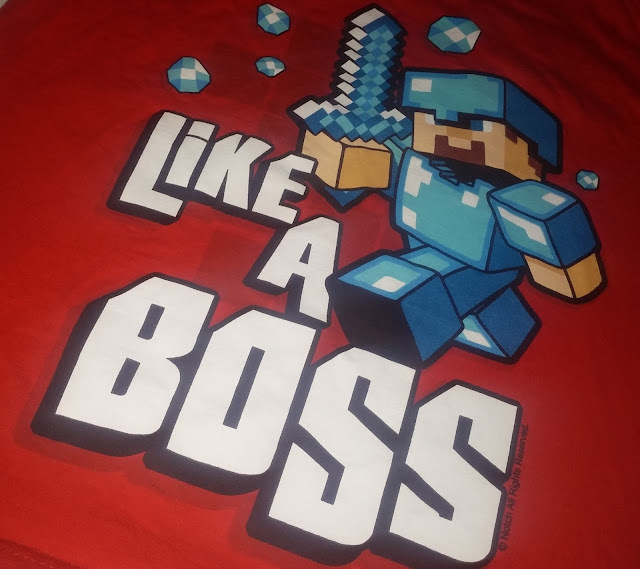 The crisp white lettering of the 'Like A Boss' print is bold and eyecatching, being especially eyecatching against the vivid red t-shirt. 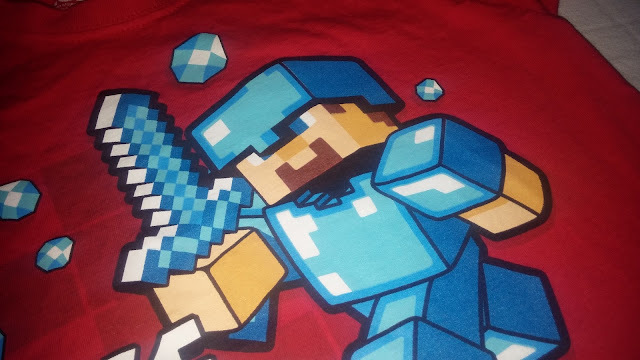 Bug's favourite thing about the t-shirt is that it features an awesome Minecraft character in full diamond armour with a shiny diamond sword! 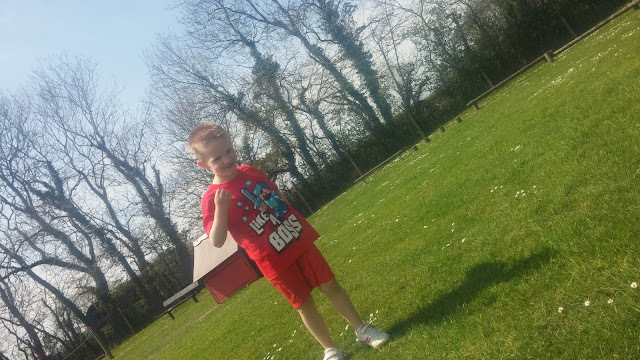 As Bug has recently had a growth spurt and has moved up to 6-7 years clothing and the Minecraft t-shirt on Noisy Sauce came in 5-6 years then 7-8 years I was unsure what size to get him for the best fit. 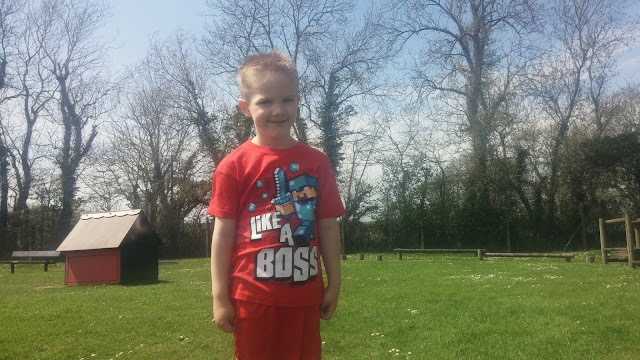 After deciding on the 5-6 years as he still wears a lot of his 5-6 years t-shirts comfortably without them being too small or tight, I was delighted to see that it fit him perfectly with room to grow. Thanks to the standard children's fit the t-shirt fits him comfortably with the crew neck and short sleeves being perfect for warmer days. 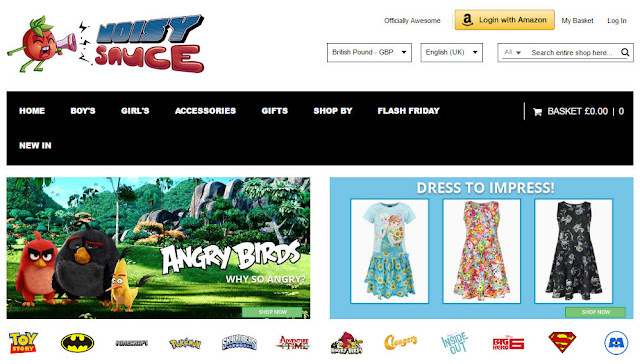 Noisy Sauce is a fabulous one stop shop for all officially licensed products for children and with hassle free returns and free Worldwide shipping it is easy to get your child's favourite character clothing from the comfort of your own home. Noisy Sauce is definitely Officially Awesome and loved by us!